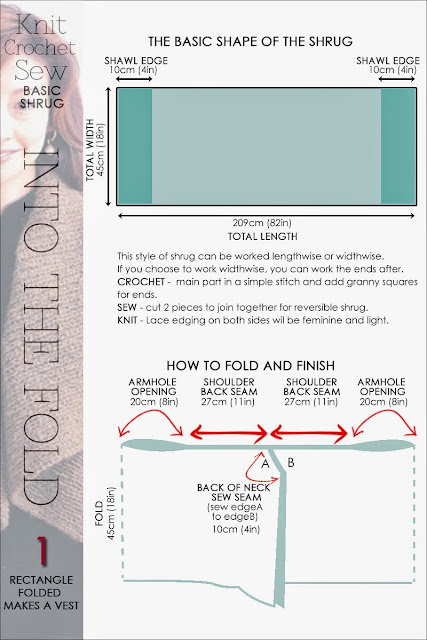 One rectangle, yes just one rectangle folded makes a shawl vest. When it comes to shrugs, there's never too many and there's always a different way to make one. 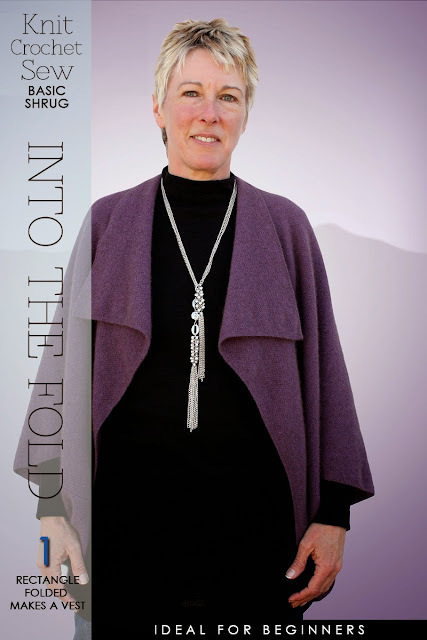 What's particularly appealing about this style is the collar that folds back. The rectangle can be worked side to side with the end bands worked in a different stitch or worked up all in one. 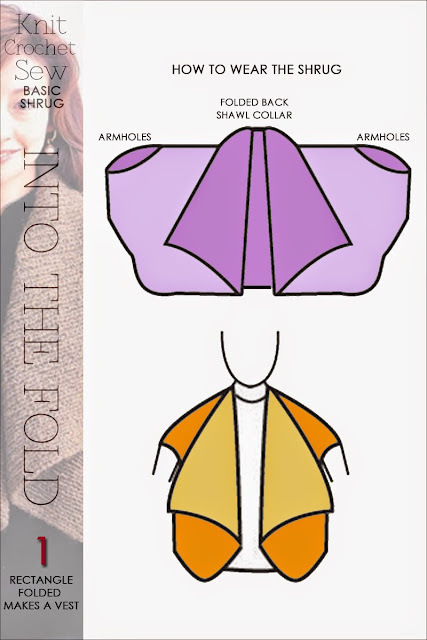 Sew this style in a knit fabric, line it and you have a reversible shrug. The last post was all about denim bags, one of which was a patchwork idea. This style is ideal for turning all those different denim pieces into a spectacular shrug. 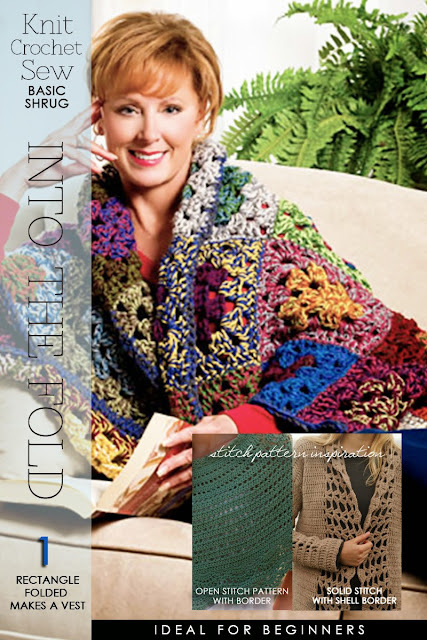 Crochet granny squares for the ends or as shown in the inspiration image, all throughout. 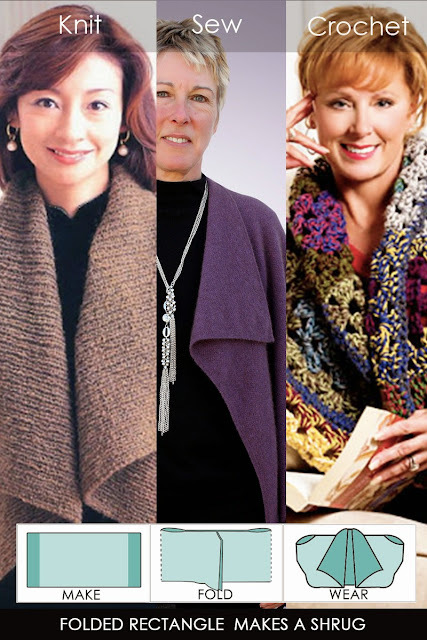 Read further for stitch pattern suggestions (free patterns for are capelets - use the great stitch combinations as inspiration) and a great idea of how to tie a scarf into a vest. Happy Knitting, Crocheting and Sewing! 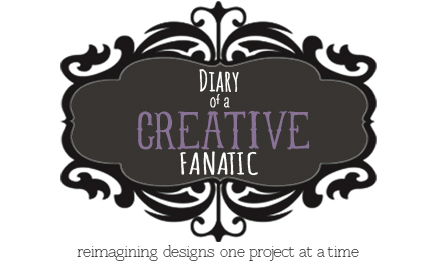 I have pinned this site on Pinterest and it is repinned 10 to 20 times a week! Really popular! 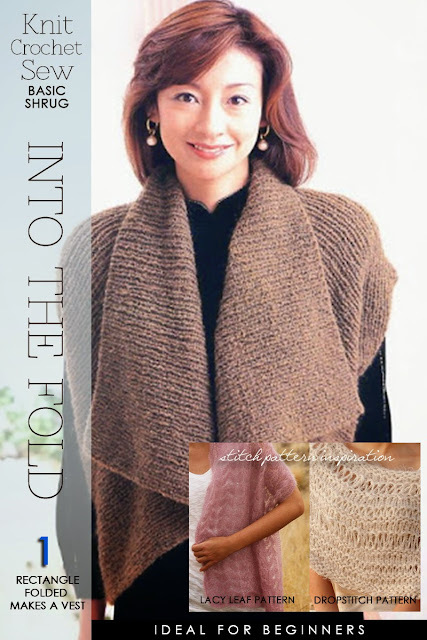 I would like to make the "Into the fold" pattern but have no idea how much yarn (yardage ) to buy for it. I would like to us a worsted or bulky weight. Wow!!!!!! !I love it. Thanks for sharing this idea.